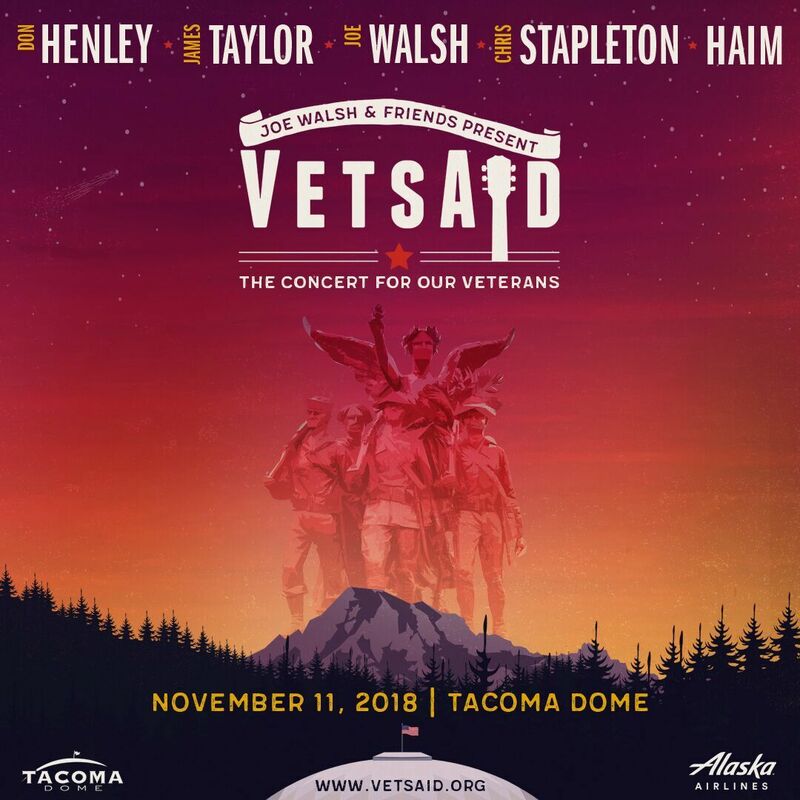 VetsAid 2018, the concert for our veterans, is this Veterans Day – Sunday, November 11, 2018! Special guests Don Henley, James Taylor, Chris Stapleton, and HAIM will join Joe Walsh for the 2nd annual VetsAid concert. Tickets are on sale now at www.ticketmaster.com.